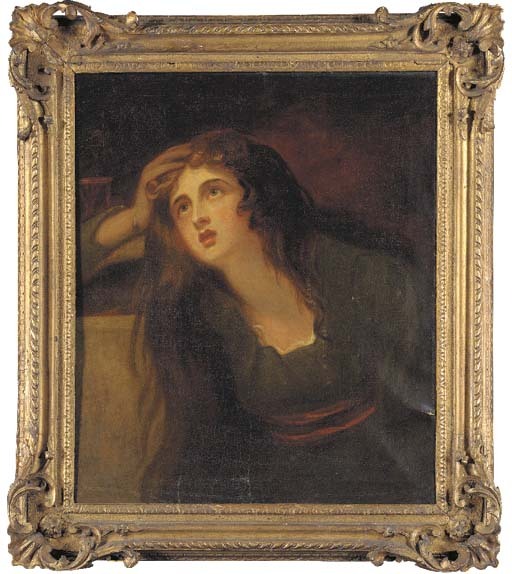 Lady Emma Hamilton (1761?-1815), the famous lover of Admiral Nelson, was portrayed by Romney in a variety of classical guises and roles. In this one, she is cast as a Penitent Magdalen. The composition originated from sittings given by Emma to Romney in 1791, for a picture that was bought by George, Prince of Wales.